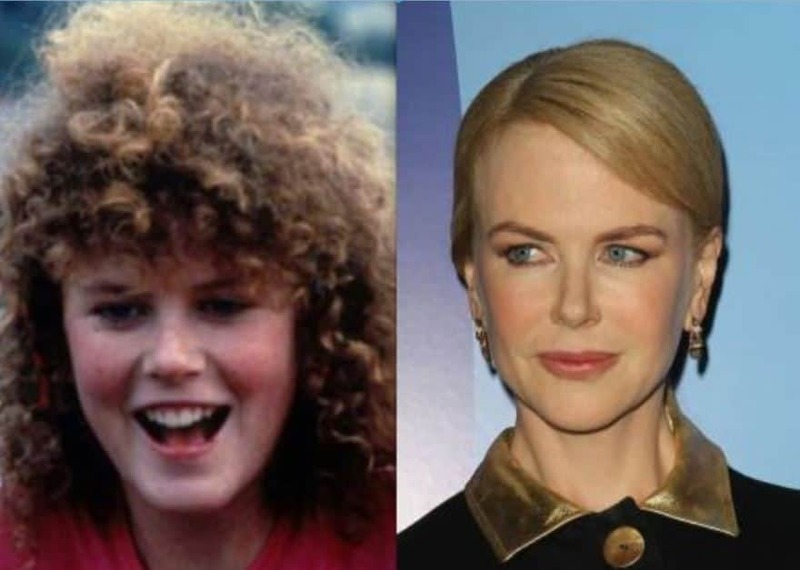 Hard to believe Nicole Kidman is one of Hollywood’s most beautiful leading ladies after looking at her teen photo. She was born in Hawaii but moved at age 4 with her parents to Sydney, Australia. As a schoolgirl, she joined a local theater group and was encouraged by director Jane Campion to go into acting. Kidman’s first indie hit, Flirting, was followed by other films but it wasn’t until 1990, that she made her Hollywood debut in the racing film Days of Thunder, opposite Tom Cruise. She ended up marrying him in 1991 (and divorcing in 2001). Kidman later received an Academy Award for her lead role in 2002’s The Hours. She married country star Keith Urban in 2006.